You are here: Home 2018 December Why Upgrade to Cisco Catalyst 9800 Series Wireless Controllers? What are the bright features of the new Cisco Catalyst 9800 Series Wireless Controllers? Read here. High availability and seamless software updates, enabled by hot and cold patching, keep your clients and services always on during both planned and unplanned events. 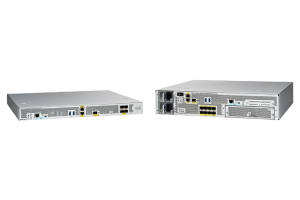 Secure air, devices, and users with the Cisco Catalyst 9800 Series. Wireless infrastructure becomes the strongest first line of defence with Cisco Encrypted Traffic Analytics and Software-Defined Access. The controllers come with built-in security: secure boot, runtime defenses, image signing, integrity verification, and hardware authenticity. Deploy anywhere to enable wireless connectivity everywhere. 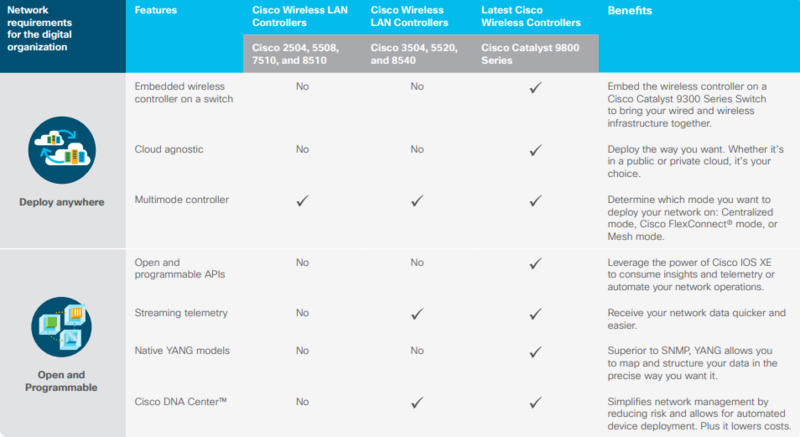 Whether on-premises, in a public or private cloud, or embedded on a switch, the Cisco Catalyst 9800 Series has multiple scale options to best meet your organization’s needs. Built on a modular operating system, the controllers feature open and programmable APIs that enable automation of your day-0 to day-N network operations. Model-driven streaming telemetry provides deep insights into the health of your network and clients.